South Africa: SANParks to increase conservation fees from 01 November 2018! South African National Parks (SANParks), the public entity responisble for a system of 19 functional national parks in seven of the nine provinces of South Africa, will increase conservation fees in all its National Parks from 01 November 2018. All funds generated from conservation fees are used with the primary mandate of SANParks which is to oversee the conservation of South Africa's biodiversity, landscapes, seascapes and associated heritage assets through a system of national parks. For individual park increases please see the list of conservation fees below or click here (pdf). Mozambique: Africa's largest suspension bridge to be inaugurated in November 2018! update (14 November 2018): The tolls charged for vehicles to use the Maputo-Catembe bridge range between 160MZN (GBP2.00 | €2.30 | $2,60 | R37.50) for class 1 vehicles and 1,200MZN (GBP15.00 | €17.30 | $19.50 | R280.00) for class 4 vehicles. According to Mozambique's Minister of Public Works, Housing and Water Resources, João Machatine, the Maputo-Catembe bridge (or Maputo-Katembe bridge or Maputo - Ka Tembe bridge), which connects Maputo with Catembe by crossing the Maputo Bay, will be officially inaugurated on 10 November 2018 [src.]. The official opening of Africa's largest suspension bridge has been postponed several times since December 2017. The Maputo-Catembe bridge is about three kilometers long, has a width of 680 metres and stands 60 metres above sea level. It forms part of a larger infrastructure project that includes a set of access roads on both banks and other roads. One of the adjoining roads links the bridge with the Ponto de Ouro border post (Mozambique) and the Kosi Bay border post (South Africa), which cuts the driving time from Mozambique's border with KwaZulu-Natal to Maputo from six hours to 90 minutes. New gate technology for Table Mountain National Park & West Coast National Park temporarily delayed! According to a press release by South African National Parks (SANParks), the implementation of the new online gate ticket booking system for Table Mountain National Park and West Coast National Park has been temporarily delayed. The new gate technology enables visitors to buy digital tickets on-line prior to their arrival at the National Parks; these digital tickets will then be scanned at the entrance gates for quick access. SANParks is currently in the process of ensuring that the new system functions optimally and without glitches before opening the system to the public. Pleast note that differential tariffs at Cape Point and Boulders Penguin Colony Gates in Table Mountain National Park will still be implemented on 01 November 2018.
update (28 November 2018): According to routesonline, Ethiopian Airlines' planned service to Moscow is now delayed to mid-December 2018 (as a nonstop flight instead of 1-stop) while the service to Istanbul is delayed to March 2019. Ethiopia's flag carrier, Ethiopian Airlines, is set to launch flights between Bole International Airport (ADD) in Addis Ababa and Moscow Domodedovo Airport (DME) in Moscow via Istanbul Atatürk Airport (IST) in Istanbul, Turkey, on 01 December 2018 on board a 787 Dreamliner. The airline will operate three weekly flights on Mondays, Wednesdays and Fridays from Addis Ababa to Moscow and on Tuesdays, Thursdays and Saturdays from Moscow to Addis Ababa. Ethiopian Airlines' new service will connect the capital of Russia with 59 cities in Africa. Austrian Airlines has launched seasonal flights between Vienna <> Cape Town! The flag carrier of Austria, Austrian Airlines, has launched scheduled flights between Vienna International Airport (VIE) in Vienna, Austria, and Cape Town International Airport (CPT) in Cape Town on 27 October 2018. The airline operates two flights per week in the European winter flight schedule on the route connecting Vienna with the city on the Cape Peninsula. The flights are operated with a Boeing 777 aircraft with a seating capacity for 306 people. Flight service from Vienna to Cape Town is offered on Tuesdays and Saturdays and on Wednesdays and Sundays from Cape Town to Vienna. Air Namibia resumed flight operations to Zimbabwe! Namibia's flag carrier, Air Namibia, has resumed flight operations to Robert Gabriel Mugabe International Airport (HRE) in Harare and Victoria Falls International Airport (VFA) in Victoria Falls on Sunday, 28 October 2018. The resumption of flights follows a High Court judgement in Zimbabwe granting the lifting of the attachment of an aircraft operated by Air Namibia in Zimbabwe in the ongoing case between the airline and a Zimbabwean family. The days of operation remain unchanged. Western Cape: All hiking trails in the Outeniqua Nature Reserve are currently closed! CapeNature, the public institution with the statutory responsibility for biodiversity conservation in South Africa's Western Cape, announced on their website that all hiking trails in Outeniqua Nature Reserve are currently closed as a safety precaution due to the fires in the region. CapeNature also advises the public to stay away from the area. The Outeniqua Nature Reserve covers an area of 38 000 hectares. 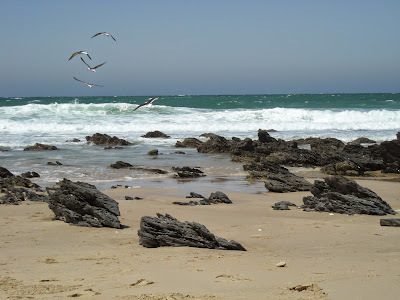 It is located close to the town of George and is easily accessible from Mossel Bay, Knysna and Oudtshoorn. Botswana postpones plastic bag ban until further notice! Botswana's Ministry of Environment, Natural Resources Conservation and Tourism has informed the public on facebook that the plastic bag ban (Plastic Carrier Bag and Plastic Flat Bag Prohibition), which was set to become effective on 01 November 2018, has been postponed until further notice. According to the Ministry, the postponement is being done to allow further engagement on the implementation of the prohibition in Botswana. We'll keep you posted! South Africa approves 20 new marine protected areas! South Africa's Department of Environmental Affairs (DEA) has confirmed that the country's cabinet has approved a network of 20 (22?) new marine protected areas (MPAs) along the South African coast. This increases MPA coverage around South Africa from 0.4% to 5%. The MPAs contribute to growing South Africa's marine eco-tourism sector by providing undisturbed natural habitat for whales, sharks, seals, dolphins, turtles and seabirds for international and domestic tourists to experience. They are also essential to maintain eco-certification of the South African deep-sea trawl fishery as the marine protected areas provide safe spaces in which fish can breed undisturbed. Mokala National Park: Access roads are in a very bad condition! 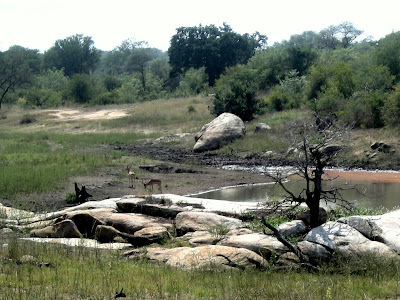 According to South African National Parks (SANParks), the access roads to Mokala National Park's Mosu Gate and Lilydale Gate are currently in a very bad condition. Both roads are not recommended for normal caravans. Although both access roads are in very bad state, SANParks advises visitors rather to make use of the Lilydale Gate as the access road from the N12 to the Mosu Gate is in an even worse condition following a recent cloud burst. SANParks also recommends to contact Mokala National Park prior to a trip for up to date information with regards to the accessibility of the roads as sedan vehicles might not be suitable for all roads within the park when there has been rain in the area. Hartebeest, Blue Wildebeest, Black Wildebeest, Kudu, Ostrich, Steenbok, Duiker and Springbok. The world loves bagels and so does Cape Town. Will Hobson (aka Willyballs), Capetonian and obviously a bagel aficionado, recently went on a hunt for Cape Town's best bagel. To choose the ultimate bagel, Willyballs blind tasted bagels from Kleinsky's Delicatessen on Regent Road, Giovanni's Deli World in Green Point, Origin Coffee Roasters on Hudson Street, Max Bagels on Bree Street, New York Bagels on Harrington Street as well as from the Total Garage in Sea Point (because they make the best cheese cake). Enjoy! The video was produced by Sketchbook Studios, an award winning production company specialising in video production for online, film and television. Sketchbook Studios is best-known for Suzelle DIY, South Africa's most hilarious YouTube comedy webseries. Air France to increase flights between Paris <> Johannesburg! The flag carrier of France, Air France, is set to increase its service between Charles de Gaulle Airport (CDG) in Paris and OR Tambo International Airport (JNB) in Johannesburg. Effective 01 April 2019, the airline will operate ten weekly flights instead of the current seven weekly flights on the route. The additional three flights will be operated on board a Boeing 787-9 Dreamliner. Lonely Planet: Zimbabwe is one of the top countries for travel in 2019! Lonely Planet's "Best in Travel" is produced annually as a guide to the top destinations, trends and experiences for the upcoming year. The Top 10 lists in "Best in Travel" were compiled by teams of experts, who took into account special events going on next year, recent developments in each country/region/city, and new things for travellers to see or do. Air Namibia to increase flights between Windhoek <> Victoria Falls! Namibia's flag carrier, Air Namibia, is set to increase flights between Hosea Kutako International Airport (WDH) in Windhoek and Victoria Falls Airport (VFA) in Victoria Falls from the current five weekly flights to six weekly flights from 01 November 2018. The additional flight will be operated on Thursdays on board an Embraer ERJ135 aircraft. Please note that Air Namibia is not operating flights to Zimbabwe until 27 October 2018 due to the impounding of an aircraft operated by the airline in Harare on 05 October 2018. Airlink to increase flights between Durban <> East London! South African regional carrier Airlink is set to introduce a third daily flight between King Shaka International Airport (DUR) in Durban and East London Airport (ELS) in East London from 22 October 2018. The additional flight will be operated middays between Mondays and Fridays. The flight will depart from King Shaka International Airport (DUR) at 12:00 arriving in East London at 13:20. The return flight will depart from East London Airport (ELS) at 13:45 arriving in Durban at 15:05. Mpumalanga: Two new hiking trails in the Blyde River Canyon Nature Reserve! The Mpumalanga Tourism and Parks Agency (MTPA) has officially opened two new hiking trails in the Blyde River Canyon Nature Reserve. Both trails are self-guided trails and traverse half of the Blyde River Canyon Nature Reserve as well as privately owned land, from Paradise Camp (on the God’s Window loop road) to Bourke's Luck Potholes. The Belvedere day walk is a 10km, five-hour walk which takes hikers in a circular route its start at Bourke's Luck Potholes to the Belvedere Guest House and then back to Bourke's Luck Potholes. The Waterval long trail/hike is a three-day trail. From the meeting point at Bourke's Luck Potholes hikers will get transported to Paradise Camp, the starting point of the hike. From there, a 3km walk will bring the hikers to the first overnight stop at Waterval Hut. Day two takes the hikers from Waterval Hut to Clearstream (13.5km). On day three, the trail takes the hikers from Clearstream back to Bourke's Luck Potholes (13.6km). Mpumalanga Tourism and Parks Agency (MTPA) is currently devoleping a third trail, which will include the "Old Mill". For more info and booking, contact the MTPA. Ethiopian Airlines to increase flights between Addis Ababa <> Oslo! The flag carrier of Ethiopia, Ethiopian Airlines, is set to increase flights between Bole International Airport (ADD) in Addis Ababa and Oslo Airport (OSL) in Oslo, Norway. From 11 December 2018, the airline will operate six weekly return flights on board a Boeing 787-8 Dreamliner to Norway instead of the current five return flights per week. Ethiopian Airlines launched the route between Addis Ababa and Oslo in March 2017.
update (02 October 2018): Cape Town's MyCiTi bus service is gradually returning to normalcy. update (29 October 2018): Cape Town's MyCiTi bus service is not operating at capacity due to the fact that some bus drivers are still participating in the unprotected strike that has now entered its third week. Cape Town's MyCiTi bus service is currently disrupted due to an (illegal) strike by some bus drivers. As a result, only a few routes are currently operating. It is unclear for how long the strike will continue, and when the MyCiTi service will be able to resume normal operations. The City of Cape Town is monitoring the situation and will inform the public accordingly. We'll keep you posted!MyCiTi is Cape Town's bus rapid transit (BRT) service. Since its launch in May 2010 until August 2018, approximately 89,4 million passenger journeys were recorded on the MyCiTi service. update (19 October 2018): The Graskop Gorge lift is fully operational! The Graskop Gorge lift, a viewing lift that takes visitors 51 metres down the face of the Graskop Gorge and into the forest below, is temporarily closed since 12 October 2018. The lift, which is operated by the Graskop Gorge Lift Company, is located just outside of Graskop on the R533 towards Hazyview along Mpumalanga's famous Panorama Route (on the opposite side of the gorge to the Big Swing). Botswana: Gaborone Game Reserve has been re-opened! Botswana's Department of Wildlife and National Parks has re-opened the Gaborone Game Reserve in Gaborone earlier today (15 October 2018). The Reserve was closed to the public since August 2018 due maintenance of sewerage lines by the Water Utilities Corporation (WUC), a parastatal organisation wholly owned by the Government of Botswana. South Africa's Blue Flag beaches, boats & marinas 2018/19! A total of 46 beaches in South Africa, along with twelve sustainable tourism boats and eight marinas have been awarded Full Blue Flag status by the 2018/19 International Blue Flag Jury. The Western Cape has achieved the highest number of Blue Flag sites, with 30 beaches, 12 boats and seven of the eight Blue Flag marinas. The Eastern Cape has been awarded one Blue Flag Marina site, and retained their seven beaches. KwaZulu-Natal has been awarded nine Blue Flag beaches. Blue Flag is a certification issued by the Foundation for Environmental Education (FEE) that a beach or marina meets its stringent standards. The main criterias include standards for water quality, safety, environmental education and information, the provision of services and general environmental management criteria. Blue Flag is sought for beaches and marinas as an indication of their high environmental and quality standards. In South Africa, the first country outside Europe to be granted Blue Flag accreditation for its beaches, the Blue Flag programme is managed by WESSA (Wildlife and Environment Society of South Africa) in partnership with participating coastal municipalities.